Feng Shui By Fishgirl felt like barkin’ up the wrong tree today. So here are my takes on bark. 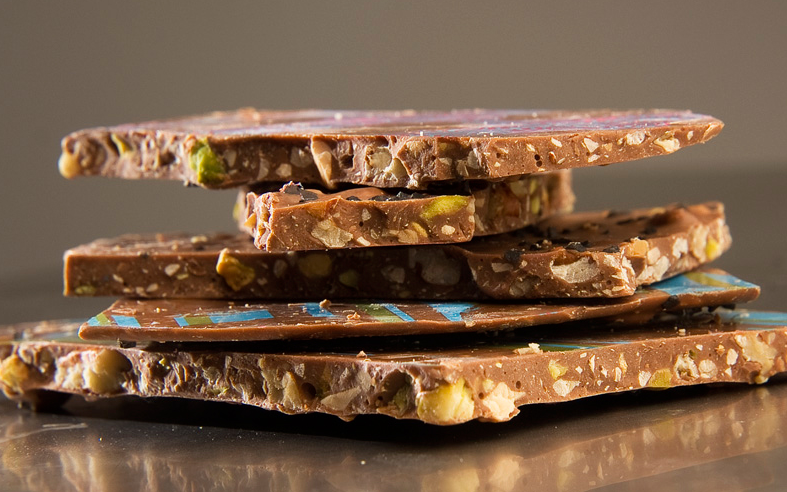 If you’re feeling your sweet tooth go for the best chocolate bark in Cleveland: Lilly Tremont makes this and gorgeous truffles, too. Great gift for any mom on your list as well as for any occasion–you can’t go wrong with chocolate! 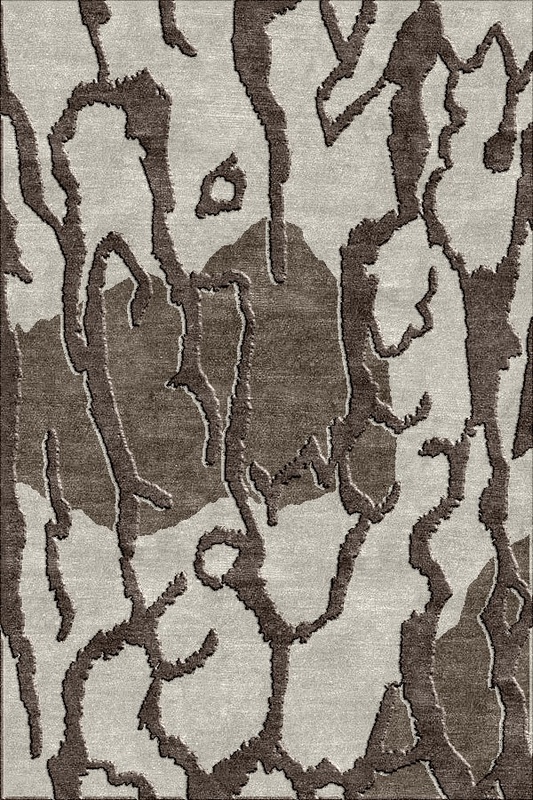 I designed a collection of Tibetan rugs hand made in Nepal inspired by the woods of Maine. The one shown here was called “Bark”. This fall I’ll be introducing a new line of rugs inspired by watercolor paintings. And finally, what’s Ellen Barkin doin’ lately? Anybody know? I’ll bet this cougar is kickin’ back with a 20 something hottie and some of that Lilly Tremont chocolate bark and a bottle of wine right now! Bark if you love anything about this post…woof!